This entry was posted in Lists, Musings and tagged American colonies, Anne Hutchinson, birth story, Facebook, Gisele Bundchen, Harvard College, heresy, Ian Shapira, Massachusetts Colony, most popular posts, Washington Post Shana Greatman Swers, Women's History Month by Delia. Bookmark the permalink. Maybe you should do one on Damien – spawn of the Devil? 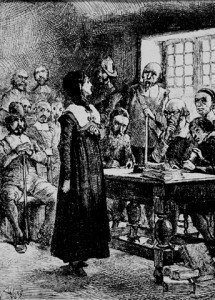 Seriously, though, the Anne Hutchinson story was compelling.